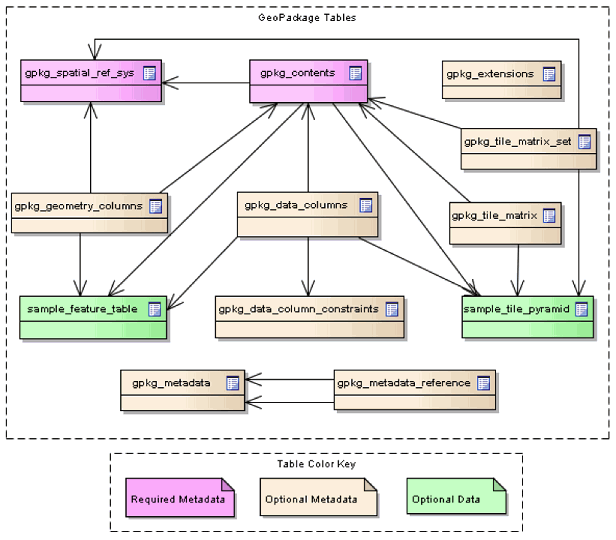 The basic structure of a GeoPackage database is shown in Figure 1. Note: This test doesn’t support GeoPackage 1.1. To follow the issue or support the development of a 1.1 test, please provide a comment in the GitHub issue tracker. If any of the following preconditions are not satisfied then all tests in the suite will be marked as skipped. The major version number in the SQLITE_VERSION_NUMBER header field is 3. The test suite definition file (testng.xml) is located in the root package, org.opengis.cite.gpkg10. A conformance class corresponds to a <test> element, each of which includes a set of test classes that contain the actual test methods. The general structure of the test suite is shown in Table 1.
iut URI M A URI that refers to a GeoPackage file. Ampersand ('&') characters must be percent-encoded as '%26'. ics A comma-separated list of string values. O An implementation conformance statement that indicates which conformance classes or options are supported.